Wow, 1st of July already, crazy! It's baking hot in the UK at the moment, horrible humid heat with no breeze at all. I don't like it :-S I think today is mostly going to be spent hiding inside next to a fan lol. 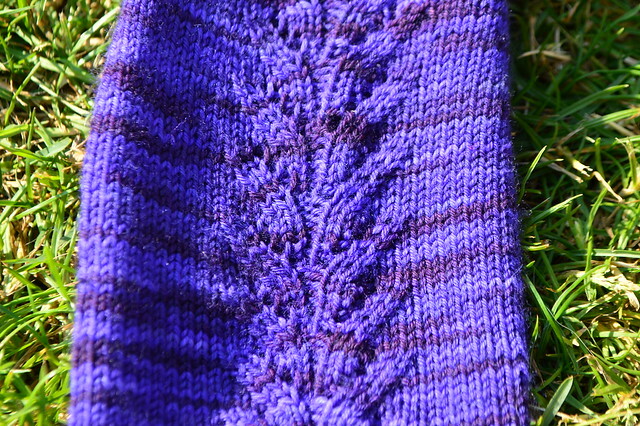 I followed the chart for the stitch pattern but changed the number of repeats to suit the length of my foot. I also used the fish lips kiss heel because I love it, it's easy to work and fits my foot well. I really enjoyed this pattern. Very easy to work and looks nice too. 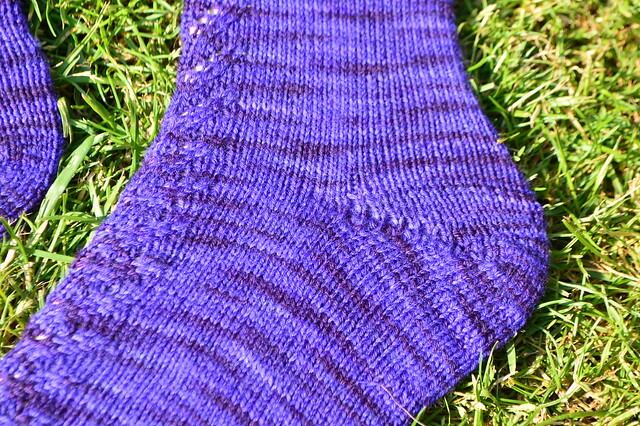 It's a free one on ravelry which is always good :-) My project page is here. Oooo - very pretty! Love the purple. Everything about those socks is beautiful! Gorgeous, the colour is fabulous. I'm not a fan of the heat either, hope it doesn't last too long!! a whole bunch of purple-y goodness! Lovely! Love the lace on that, one of my favs. Those are great socks. I 've got to queue that pattern! 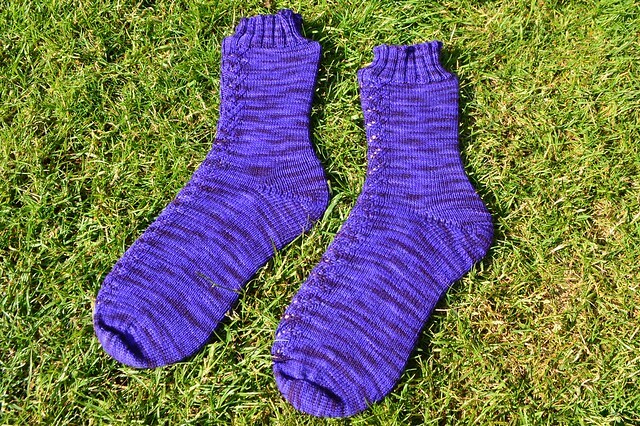 Those are lovely socks, great pattern and colour.